It is unclear if the suspect, who was neutralized, is dead or alive. 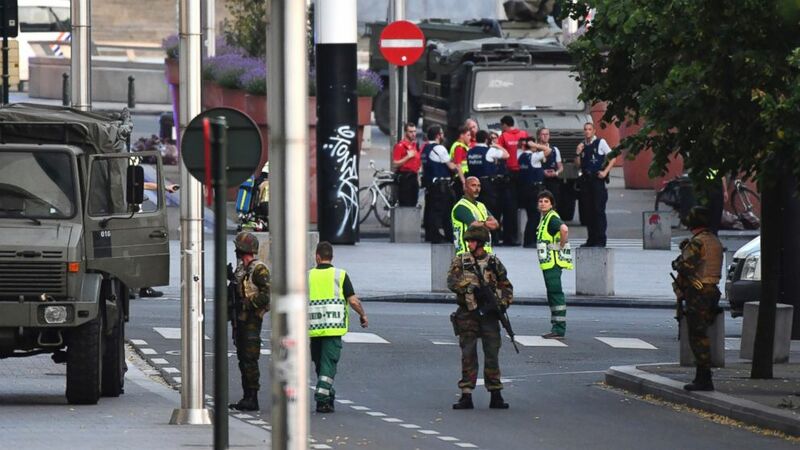 An explosion at a train station in Brussels, Belgium, today, that prompted the station to be evacuated but left no victims injured, is considered a terrorist attack, according to the Belgian federal prosecutor's office. One suspect was shot by the military after the explosion at Brussels Central Station, a senior Belgian law enforcement official told ABC News. A spokesman for the Belgian federal police said the suspected attacker is dead. No one else was injured in the explosion, which occurred around 8:30 p.m. local time, Van Der Sypt added. Police said the situation is "under control." (Geert Vanden Wijngaert/AP) Belgian police evacuate people near the Grand Place near Central Station in Brussels after a reported explosion on Tuesday, June 20, 2017. (Emmanuel Dunand/AFP/Getty Images) Soldiers and police officials guide members of the public on a street outside Gare Centrale in Brussels on June 20, 2017, after an explosion in the Belgian capital. Belgian Federal Prosecutor Eric Van Der Sypt said the identity of the suspect is not known. 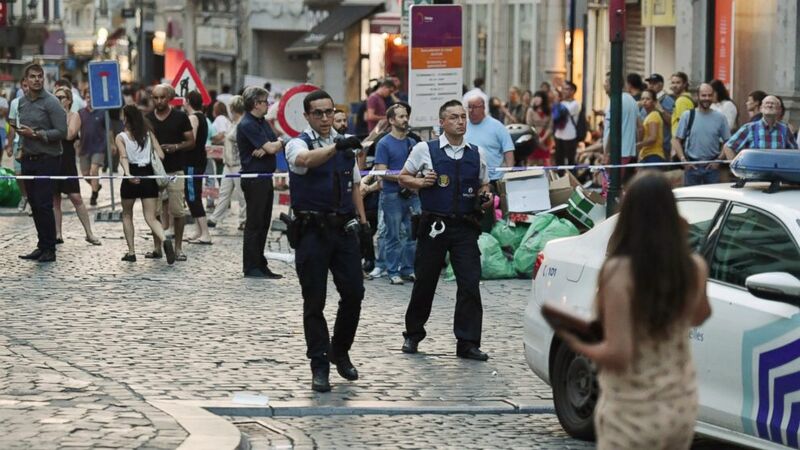 Belgian officials told ABC News that authorities are investigating whether the suspect had an explosive device or devices, potentially a suicide vest or a bag or suitcase. When asked if there were other suspects, Van Der Sypt said he would not comment. One eyewitness told Belgian TV that he heard screaming and saw flames. Eyewitness Arash Aazami told ABC News he heard two explosions and gunfire. He was sheltering inside a restaurant as he told ABC News there was a heavy presence of military, ambulances and police. (Geert Vanden Wijngaert/AP) Belgian Army soldiers and police patrol outside Central Station after a reported explosion in Brussels on June 20, 2017. 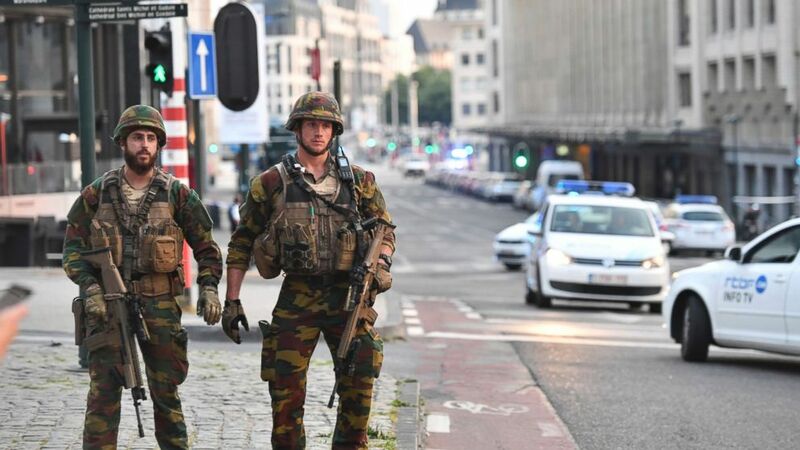 (Geert Vanden Wijngaert/AP) Belgian Army soldiers patrol outside Central Station after a reported explosion in Brussels on Tuesday, June 20, 2017. The nature of the device was not immediately clear but the bomb squad was called in for fear of additional explosives in the area. Another eyewitness, Remy Bonnaffe, told ABC News he heard two loud detonations. A third eyewitness said he had been evacuated from the station, but that the situation now seems under control and police were allowing people to walk freely in the street again. Service was stopped at all three of Brussels' main train stations, officials said. 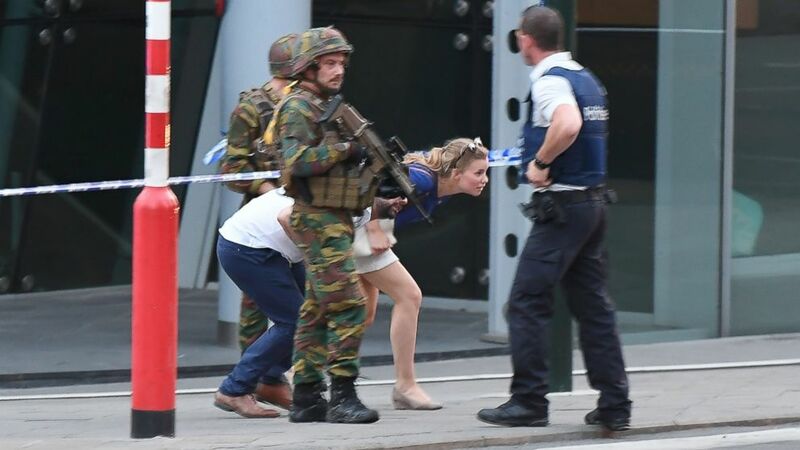 Belgium's Threat Assessment Coordination Body said the threat level remains at 3 and there is no indication of other incidents, the Belgium Ministry of Foreign Affairs reported. ABC News' Aicha El Hammar, Josh Hoyos and Ben Gittleson contributed to this report.